For drivers with low or poor credit, buying a car can prove to be a challenging experience. For those who have always dreamed of owning a car, Uber may have a solution though experts are wary of their terms and conditions. An article in Nerd Wallet talks about the kind of deal Uber is offering its divers looking to own a car who may have poor credit. The article talked about how difficult it can be for subprime lenders to get a loan at a car dealership and what Uber is doing to help those drivers out. By putting $2,000 down to begin a lease, the ride-sharing company will simply deduct payments from drivers’ paychecks, as little as $17 a day. However, not everyone is convinced this is the best way to own a car. Industry experts say that, though it may be difficult to get a car loan, banks have been willing to work with subprime lenders. Usually borrowers have to pay higher interest rates but there is less risk involved in those kinds of loans compared to what Uber is offering. What’s more, there has been more subprime lending as of late, which makes it easier for those lenders to get a new car. For lenders who have good credit and are looking to get into a new ride, Swapalease.com may have the perfect solution. As we begin to treat cars like phones, always on the lookout for the newest model, why not take over an exiting lease? 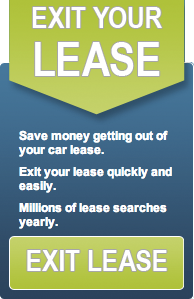 Drivers who are looking to exit their lease early list it on Swapalease.com and are matched with buyers interested in taking over their lease. In most cases, sellers offer incentives and no down payments are required. Both parties benefit from the transaction. Swapalease.com is the largest online lease transfer marketplace and has vehicles and customers in every state in the continental United States and Canada. For more information on finding the best car lease deals or to learn how you can have a successful car lease trade, visit Swapalease.com or contact them at 866-SWAPNOW.